The CPS operates across England and Wales, with 14 regional teams prosecuting cases locally. Each of these 14 CPS Areas is headed by a Chief Crown Prosecutor, and works closely with local police forces and other criminal justice partners. Find out who’s who in your area, and read more about local cases. CPS Direct is a ‘virtual’ 15th Area. It is also headed by a CCP and provides charging decisions to all police forces and other investigators across England and Wales 24 hours a day, 365 days a year. Our dedicated network of over 160 prosecutors is based throughout England and Wales. To receive a charging decision, police officers and other investigators call a single national number and are connected to the next available Duty Prosecutor. In a proportion of cases, officers can submit and receive charging decisions digitally. CPS Direct is supported by a Business Centre which houses a team of specialists in the fields of performance, finance, human resources and communications. They provide advice and guidance to all members of staff within the Area. We are committed to placing victims and witnesses at the heart of the justice system, ensuring that we deal with them professionally and fairly. Should you have any comments on any aspect of our work then please do not hesitate to contact us. Chief Crown Prosecutor Kate Brown has overall responsibility for CPS Direct, and reports to the Director of Public Prosecutions. The Chief Crown Prosecutor is supported by the Senior Management Team, including an Area Business Manager who oversees the business management and administrative functions of CPS Direct; and Unit Heads who manage the day to day legal delivery. Our Duty Prosecutors work in shifts, 24 hours a day, seven days a week, to provide police forces and other investigators across England and Wales with quick access to charging decisions from the CPS. They work from local CPS offices alongside teams of Prosecutors based in their own homes who primarily work at evenings, night-time and weekends. Administrative and business support come from a Central Support Team based at CPS headquarters in York. Kate began prosecuting for the CPS in 1994 in Shropshire, moving to Wiltshire, Hampshire and Dorset. She held a variety of positions before becoming the District Crown Prosecutor for South East Hampshire in 2004. In November 2006 she was appointed as the Temporary Chief Crown Prosecutor for Dorset and was permanently appointed to that role in September 2007. 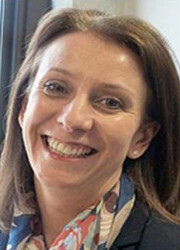 In April 2011 Kate became the Deputy Chief Crown Prosecutor for Wessex. Kate is also a Crown Advocate. She was appointed as the Chief Crown Prosecutor for Wessex in January 2013. Kate became the Chief Crown Prosecutor for CPS Direct in 5 June 2017. Karen has worked in the Criminal Justice System (CJS) for over 30 years. 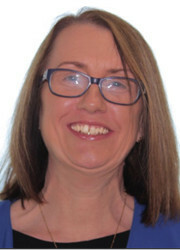 Karen became the Area Business Manager (ABM) for CPS Wiltshire in 2003, for Thames Valley in 2005, and the Senior ABM for the Thames and Chiltern Group in 2007. In September 2009 she was seconded to the Attorney General's Office (AGO) as a Senior Policy Advisor. In January 2010 Karen was seconded to CPS HQ as part of the Capability Review Implementation Programme team. In August 2010 she returned to Thames and Chiltern and was the ABM for CPS Thames and Chiltern. In September 2014 Karen became the ABM in the CPS West Midlands Area. Karen became the ABM for CPS Direct in June 2017. The Victims’ Right to Review (VRR) scheme was launched on the 5 June 2013. The VRR Scheme gives victims the right to request a review of a Crown Prosecution Service (CPS) decision not to prosecute or to terminate criminal proceedings. We are committed to dealing with Victims and Witnesses with respect. We understand being a victim and or witness of crime can be difficult and are sensitive to how vulnerable some may feel due to their experiences. We will ensure that they are dealt with in a professional and courteous manner. We will listen to their needs and support them through the process so that they can give their best evidence at court. This CPS Area is committed to ensuring that we are renowned for our professionalism, and that we are delivering justice to all members of our communities. We want communities to continue to have confidence in their local justice system, to believe their interests are fairly represented and justice is seen to be done. To contact your local CPS Area or CPS Direct, please find the details on this page. To contact the CPS generally, please see our Contact page. To give feedback or make a complaint, please see our Feedback and Complaints page. To report a problem with this website (only), please contact the CPS Webmaster.